Congratulations to Denver Croquet Club member Judy McKeon!! 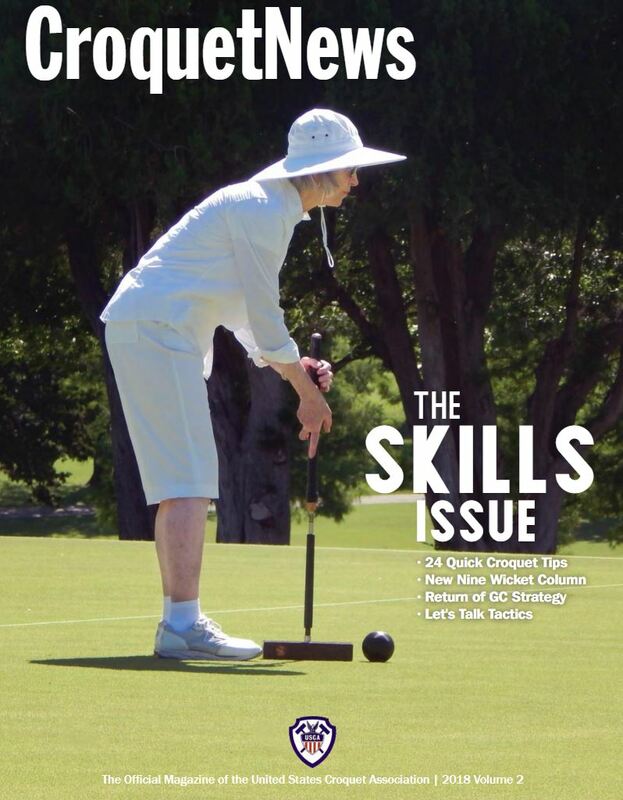 She was featured on the cover of the United States Croquet Association's Croquet New magazine (Volume 2 of 2018). The photo was taken while Judy played at the Croquet Network States Shield Central Qaud Qaulifier at the Oklahoma City Golf & Country Club on June 17, 2018. The full magazine is available digitially for free at this link. The announcement of the volume's publication is located here. Yeah!!! Cheers to THE Queen! I am a former member who would like to become active again. We hope we’ll see you at upcoming open play times and maybe opening night!